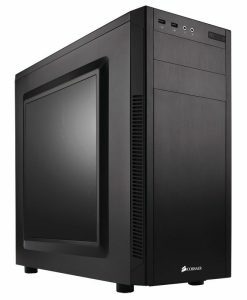 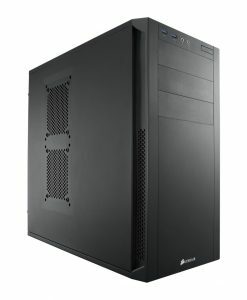 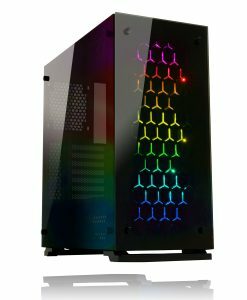 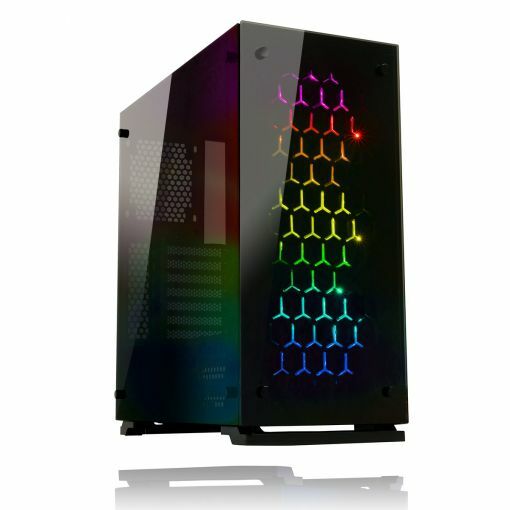 Game Max Onyx RGB Mid Tower Computer Chassis, Tempered Glass, LED Colour Control Button, 3x 120mm RGB Fans, USB 3.0. 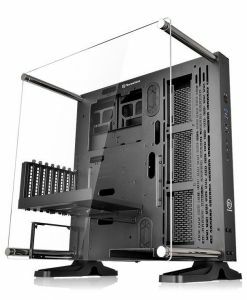 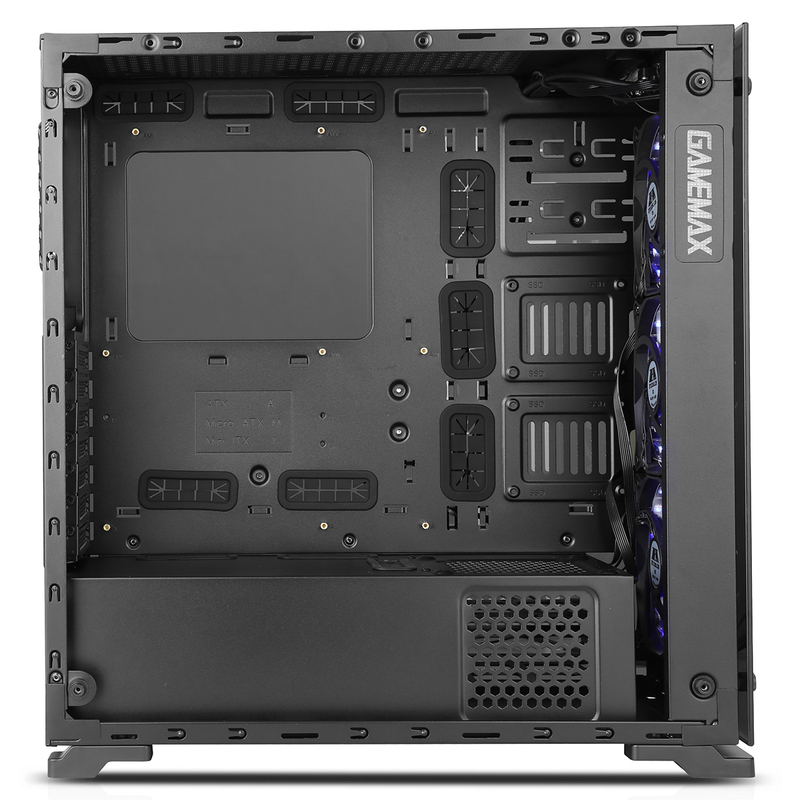 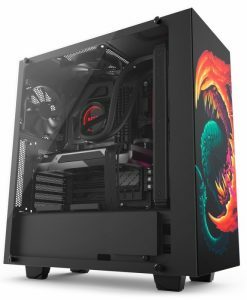 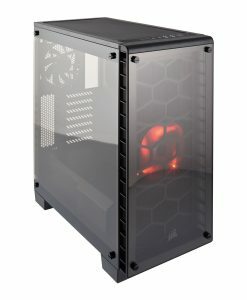 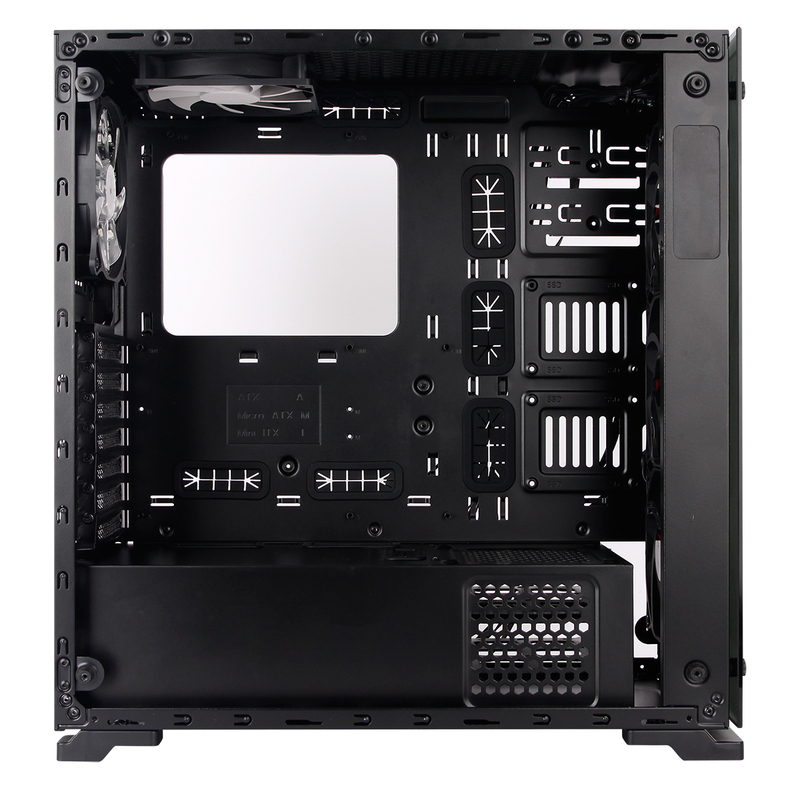 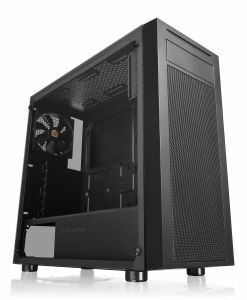 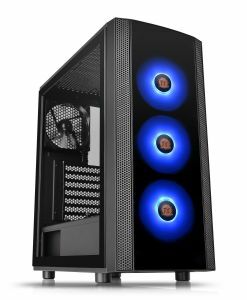 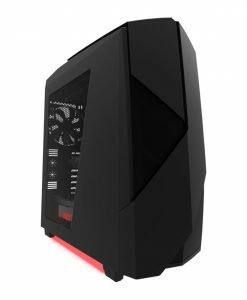 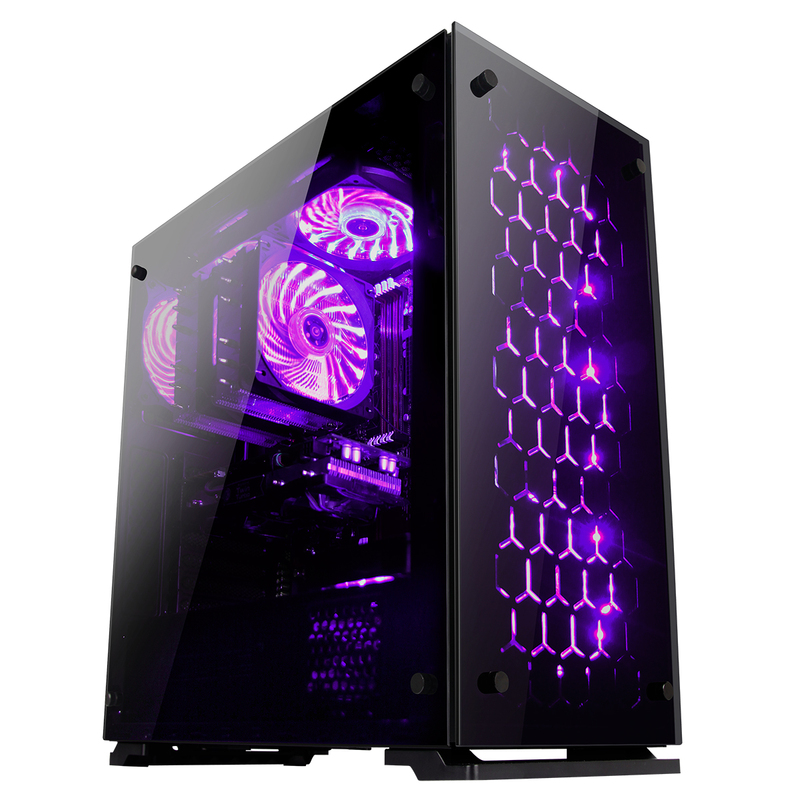 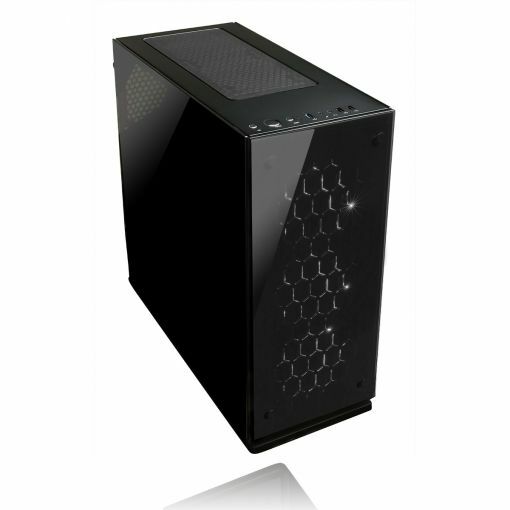 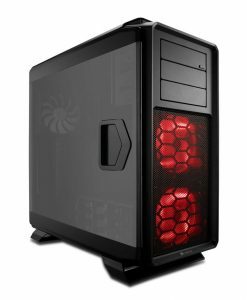 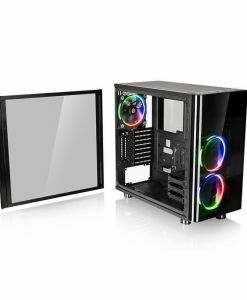 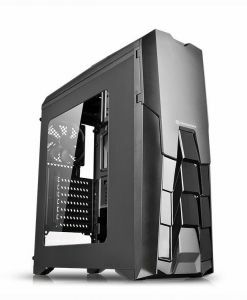 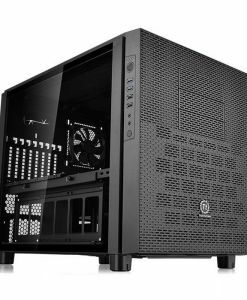 Game Max Onyx PC gaming case is made with a very simple and classic design but the tempered front panel and the attractive tempered glass is on both sides of the case. 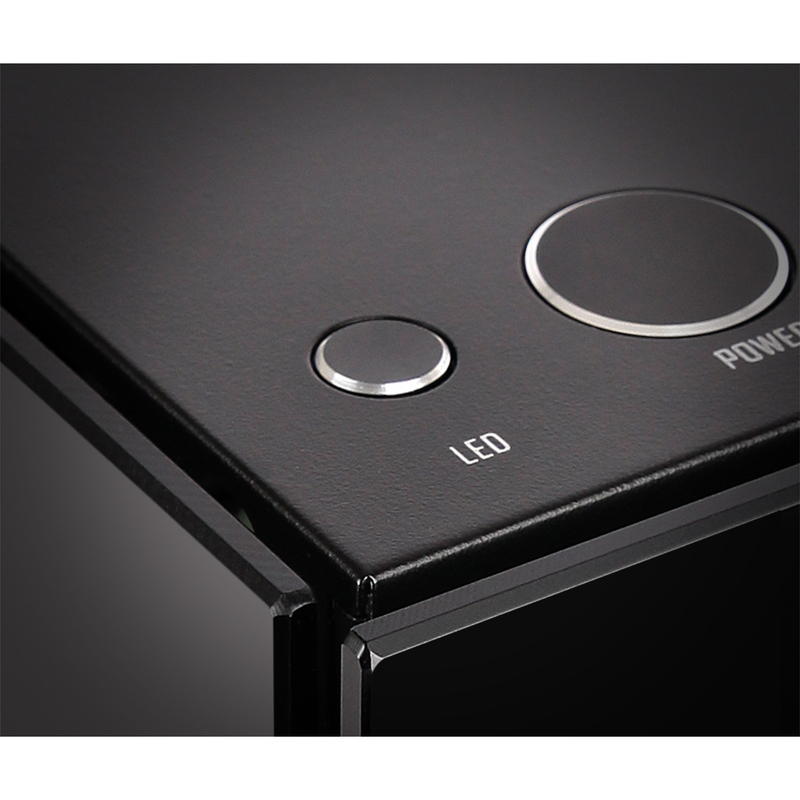 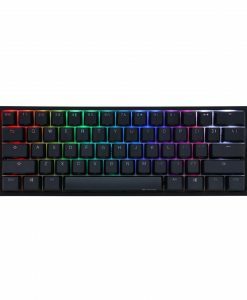 There is one button at the top to control your LED’s freely, 3 x RGB 120mm fans included make the Black Onyx an ideal solution for the gaming enthusiast and an excellent cooling solution to help keep the computer temperature low. 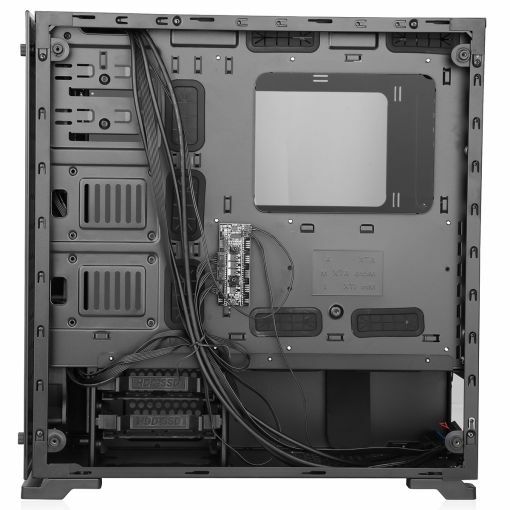 There is 1 x USB3.0 and 2 x USB2.0 located on the top giving the user easy access, The I/O ports allow you to connect to most media storage devices.